that has been conquered or dismembered. to the traffic or to the baby squirrel at my doorstep. 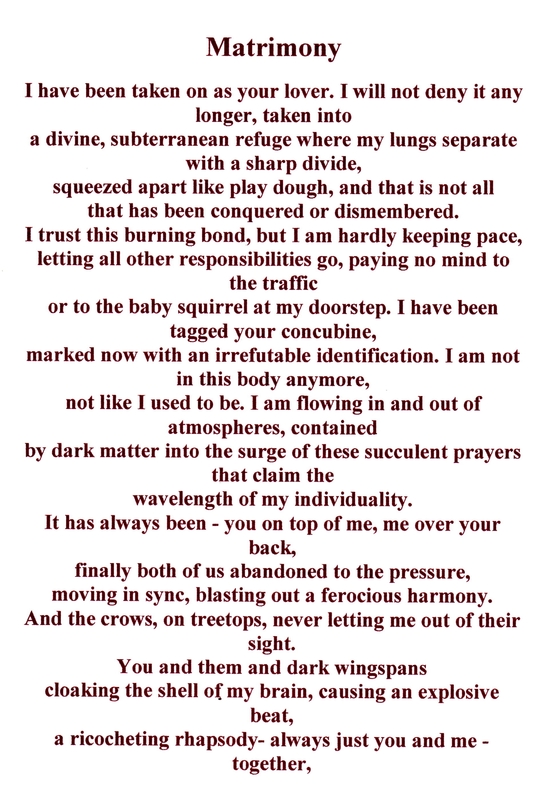 prayers that claim the wavelength of my individuality. moving in sync, blasting out a ferocious harmony. I’ve been a fool to think it has – this tugging on my lead. Love, so much love, our love, is sweet, murderous. I am trying to understand but I don’t know how. 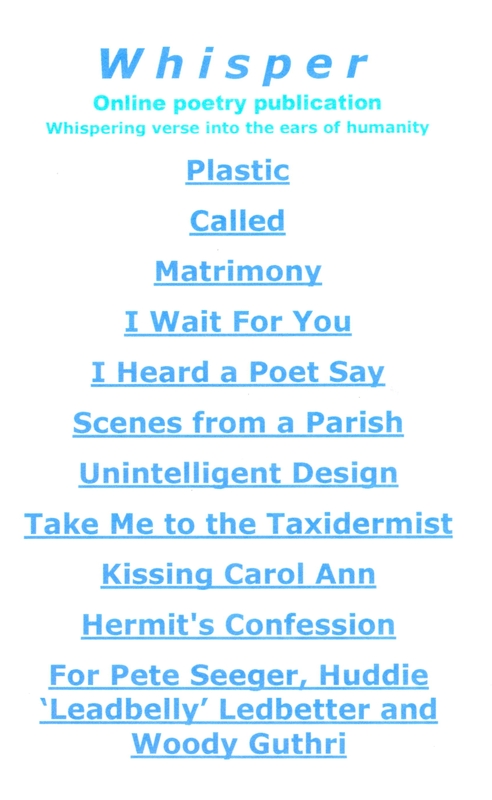 This entry was posted in Excerpts from Book 21 "Sight at Zero- selected poems (1988 to 2017)" Edge Unlimited Publishing (2017), Excerpts from Book 24 "The Poetry of Allison Grayhurst - completed works from 1988 to 2017 (Volume 3 of 5)", Excerpts from Book 9 "The River is Blind" Edge Unlimited Publishing (2012), Poems Published and tagged Allison Grayhurst, muse, poetry, spiritual. Bookmark the permalink. 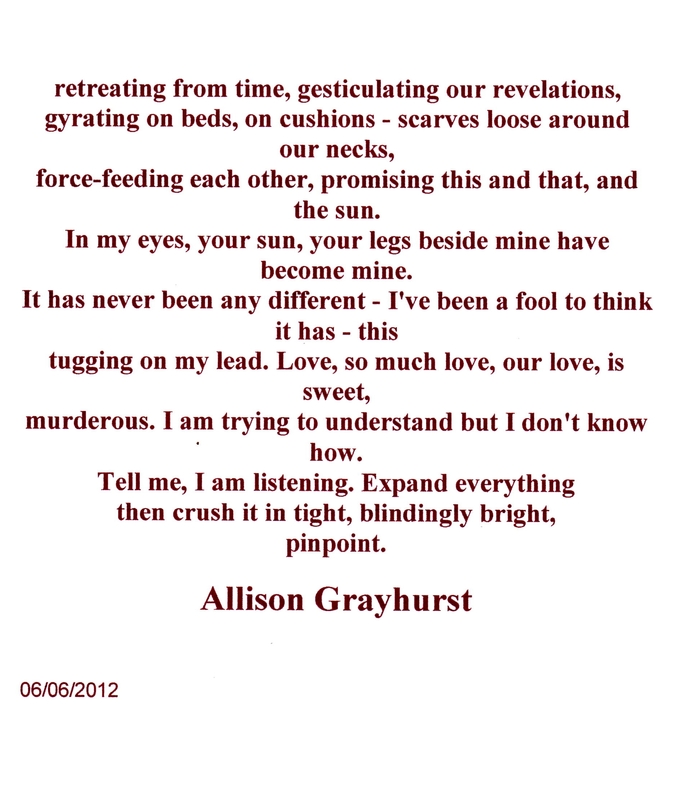 Ms. Allison Grayhurst is a poetess. She has emotions and uncharted. She uses words to guide me from darkness into revelation. That is what a good poetess does well. Stop by her blog: “Allison Grayhurst”. Intense, rich and many layered as usual – feels good knowing it’s to your Muse. What a vocation being a passionate poet is! I am not sure to say about this one, except that it is up to your usual high standards. I am old now, though still in love with Ethel after 44 years of matrimony, and though our passion is different, slower, longer, less filled with breath, I remember when we were young. I sense a merging here with God as well as man. I think about John Donne’s Holy Sonnet 14. In fact, in many of your “love” poems I find myself floating in and out of flesh to spirit, what can be a love relationship with a person is also, somehow, one with God. At least this is my sense in your poems. They carry an intensity which feels to me like the kind of longing or love one has for God, but this intensity is also in our home, in our beds.